"It behooved me to just play into the dreamier, nightmare-ier, cartoonier, if you will, [aspect] of the part," Wendt said. 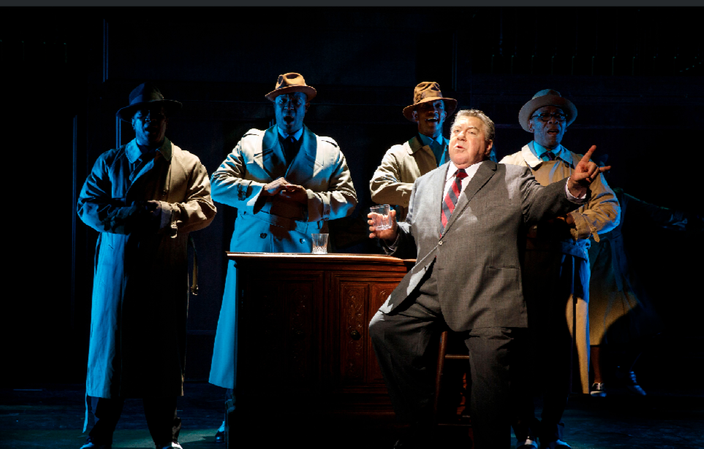 “George Wendt portrays J. Edgar Hoover” is likely a sentence most people never expected to see. But since Sept. 12, the portly actor who found TV fame and fortune as uber-slacker Norm Peterson on the beloved 1980s sitcom, “Cheers,” has been doing just that in the world-premiere production of “Rock and Roll Man: The Alan Freed Story.” The musical is making its world debut through Oct. 1. at the historic Bucks County Playhouse. Hoover, who served for 48 years as the director of the FBI (and its predecessor, the Bureau of Investigation), and who died in 1972, has been a favorite showbiz subject for decades. When he ruled the agency with unprecedented (and since-unequaled) power, he was lionized in film and TV as America’s No. 1 protector of the American way of life. In more recent times, films and TV shows have zeroed in on his personal peccadilloes and character flaws, including his reported decadeslong husband-wife relationship with his top aide, Clyde Tolson, his cozying up to organized crime members and his seemingly megalomaniacal personality. For his turn as the iconic “G-man” who in the show “prosecutes” ‘50s DJ Freed for undermining the morals and values of America by introducing its kids to rock 'n' roll, Wendt has stayed away from all that. “I did a bit of research and watched documentaries and read up on him, but I quickly realized this is not the ‘J. Edgar Hoover Story,’” he offered during a recent phone chat. “[The play] is very much a dream, a fever dream, a nightmare that is very deep in the unconscious and subconscious of Alan Freed. It behooved me to just play into the dreamier, nightmare-ier, cartoonier, if you will, [aspect] of the part. If you’re thinking Wendt in drag is a mental image you’d rather not have conjured, know that he feels your pain. “Edna’s early looks in that production are very, very dowdy and she gets glammed up throughout the show,” he said. When asked about it, Wendt pretty much brushed off his signature role on “Cheers,” claiming he doesn’t make it a point to watch it despite its ubiquity in the cable TV universe." Did it get better for him as his character got more glamorous looking as the piece progressed? “Not really,” he replied with a hearty chuckle. Not that the role didn’t have its rewards. 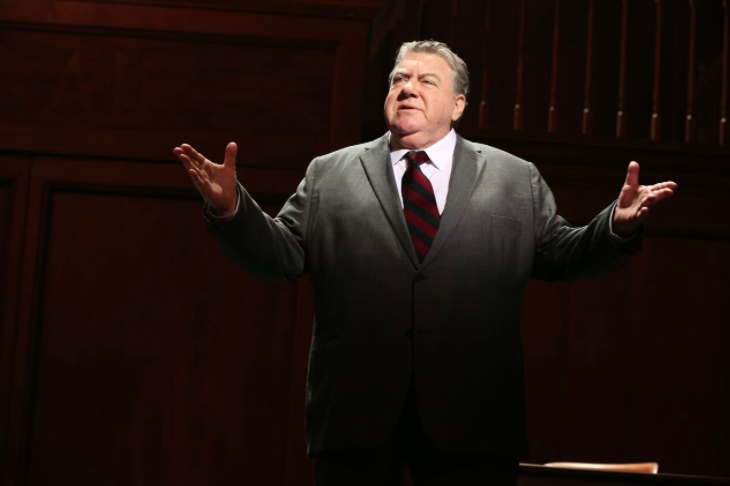 When asked about it, Wendt pretty much brushed off his signature role on “Cheers,” claiming he doesn’t make it a point to watch it despite its ubiquity in the cable TV universe. That doesn’t mean he wasn’t grateful to be a part of such a well-loved series. “I knew going in that the team was pretty solid in terms of [creators] Glen Charles and Les Charles and Jim Burrows. I had worked with them on a guest shot on ‘Taxi’ and was pretty impressed by them. He also admitted that it wasn’t anything the cast and crew could control that made “Cheers” the ratings powerhouse it ultimately became. Bucks County Playhouse, 70 S. Main St., New Hope. Show times vary; $85-$40; 215-862-2121. Click here for more information.